The LED plant grow light is an artificial light source that uses LEDs (light-emitting diodes) as illuminates to meet the illumination conditions required for photosynthesis in plants. In the absence of daylight, this lighting fixture acts as daylight, allowing plants to grow normally or better. This kind of lamp strengthen plant roots, encourages, regulates flowering and flower color, promotes fruit ripening, coloring, and enhances the taste and quality! Designing and manufacturing a high efficiency and long lifespan LED plant growing light that really helps plants grow, repel disease is not an easy task, every detail needs to be done. Please choosing or purchasing LVT LED plant grow lights considering below aspects, or you can directly contact our sales representative or engineers for help. 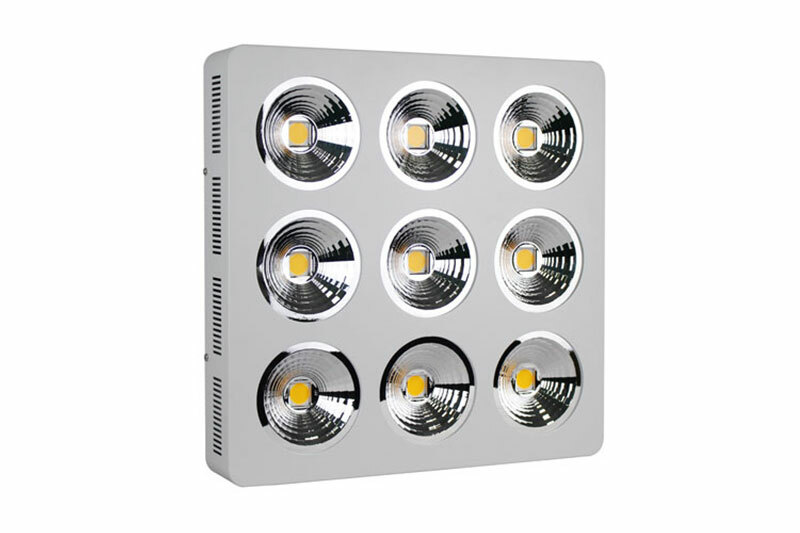 The part inside LED plant grow lamp which plays a direct role in plant light supplementation is the LED chip (hereinafter referred to as chip). It can be said that all other components of the LED plant growth lamp are designed to serving the chip. The rationality of the light distribution of the LED plant lamp is almost completely determined by the chip. The light distribution includes chip spectrum and chip matching. The chip spectrum is the light-emitting band after the chip is produced in which most important ones are red light with wavelength between 610nm-720nm, and blue light with wavelength between 400nm-520nm. The red light promote plant photosynthesis, mainly affect plant flowering results; the blue light enhances plant chloroplast activity, mainly affecting root growth. In addition, a small amount of white light, violet light, and green light are used together. Chip collocation refers to the ratio of chips in various bands(colors) when LED plant lights are assembled. Strictly speaking, the ratio of chips taken for different growth periods of different plants is different, but it is impossible to change LED plant light one by one per several days, the workload is too large, the cost is too high, so LED plant light manufacturer usually according to planting plants mainly using their roots or mainly using their flowers and fruit to design the chip ratio, in general, more red chips are used than blue chips, plants that harvest flowers and fruits should increase the ratio of red light chips. The rationality of LED plant light distribution directly affects the lighting effect. It is also a very important indicator for the production of LED plant lights. 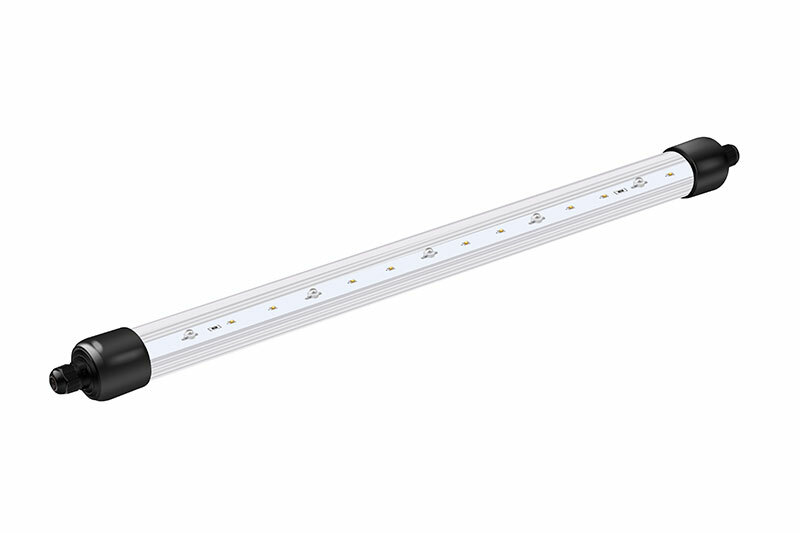 It is also the most important parameter for judging the performance of LED plant lights. Every plant needs to receive light. It is best to receive the same light for each plant. At least ensure the light intensity, light quality and illumination time of each plant relatively close, otherwise insufficient plant light will cause poor growth, forming a long plant length, while the other part grows normally, but can not fully utilize the LED plant light, which will cause unnecessary waste of resources. The main cause of the difference in plant growth is the uniformity of illumination. The uniformity of illumination can be divided into the uniformity of the distribution of different optical waveband in LED plant growth lamp chips and the distance distribution between LED plant lights. The chip distribution is the light chip ratio obtained from the lighting needs of different plants, calculating how to intersperse between the chips, and finally distributed on the plant light and packaged on the COB panel (or pcb board) according to a certain rule, so that the light intensity is evenly distributed of each LED plant lamp illuminates area. The arrangement of the spacing between the LED plant growth lamps is mainly determined according to the intensity of the edge illumination of a single LED plant lamp. In addition, the installation height of the lamps should be considered. After the comprehensive calculation, the distribution distance between the LED plant lights is obtained to ensure uniformity of illumination during large area planting. Therefore, the illumination uniformity of the LED plant lamp is summarized as follows: the light quality and the light intensity distribution are uniform in the middle and the periphery of the single LED plant growth lamp, and the light quality and light intensity distribution are uniform at the intersection between the adjacent LED growing lamps and other illumination areas. Scientists are constantly striving to increase the efficiency of electro-optical conversion rate of each electrical device. The situation is same for researchers of LED plant lights. As China leading LED plant lamp manufacturer and solution provider, LVT is constantly pursuing and exploring the method to increase the efficiency of lighting conversion, and the way to make plants grow better under the same energy consumption. Starting from human needs, we need more energy-saving LED plant lights. The electro-optic conversion efficiency from incandescent lamps is only 2-3%, and the conversion efficiency of LED plant lights is as high as 20-30%, this is a very big progress. From the needs of plants, the luminous efficiency of LED plant lights is more important. Plant growth is not all spectrum applicable. They only extract the parts they need. This requires us to provide the spectrum required for plant growth at that time for each growth stage of each plant during producing of LED plant lights. Therefore, another feature of LED plant lights is under the premise of energy consumption, it can make plants grow better, the yield and quality can be improved. The low-power LED plant lamp can be used without special heat dissipation measures. It only needs to do the basic heat-dissipation structure. Because the LED plant lamp has high electro-optical conversion efficiency, the relative heat generated is not too much, but the case for high power LED plant lamp is not the same. Although the amount of heat generated is much reduced compared to traditional plant lamps, long time use not only causes great damage to the lamps, but also have the risks of burning plants at close distance. Therefore, it is necessary to take special heat dissipation measures. (4.2) Luminous efficiency, any artificial light source has light decay, a very important factor affecting the speed of light decay is temperature, high temperature will accelerate the aging of material; using the sameLED plant lamp for 50,000 hours, just in different temperature environment (in high temperature environment and safe temperature environment), it is undoubtedly the latter’s total yield and quality will be higher than the former. (4.3) The effective heat dissipation of LVT LED plant lamp can also help to control the ambient temperature. If the plant light heat is not well controlled, the local temperature around the lamp is slightly higher for a long time, and the state of plant growth will certainly be different from other places. This is not conducive to the overall temperature control of the greenhouse or plant factory. When purchasing high-power LED plant lights, the reliability of heat dissipation is an important technical indicator, which will have a direct and serious impact on the yield and quality of later crops. An excellent product must have strong performance. A perfect product will inevitably have a very eye-catching visual effect. (5.1) Appearance, you are not mistaken, is the appearance of LED plant lights: generally in square and round shape, which is acceptable to everyone. Rectangular shape need to have a certain proportion to highlight the visual effect,they should not be too long and thin. Another point is the thickness of the lamp, according to the aesthetic point of modern people, a little thinner is more in line with the public’s habits. If the LED growing spotlight is made into the appearance of an old-fashioned flashlight, it is not only inconvenient to use, but also can’t be accepted in appearance. (5.2) For light receiving objects, here mainly refers to plants and people. To make plants comfortable first is to meet the growth needs of plants. LED plant lights are used to provide plants with their favorite spectrum. They grow strong and naturally comfortable. For people, it is mainly visual comfort. According to the needs of plants, the LED plant lights are composed of red and blue LED chips. Adding purple light and the natural green light, LVT LED plant lights have a strong exuberant feeling. However, they still have different effects on the visual nerve of the human and animals. It is recommended not to directly looking at the LED plant light while it is turning on. 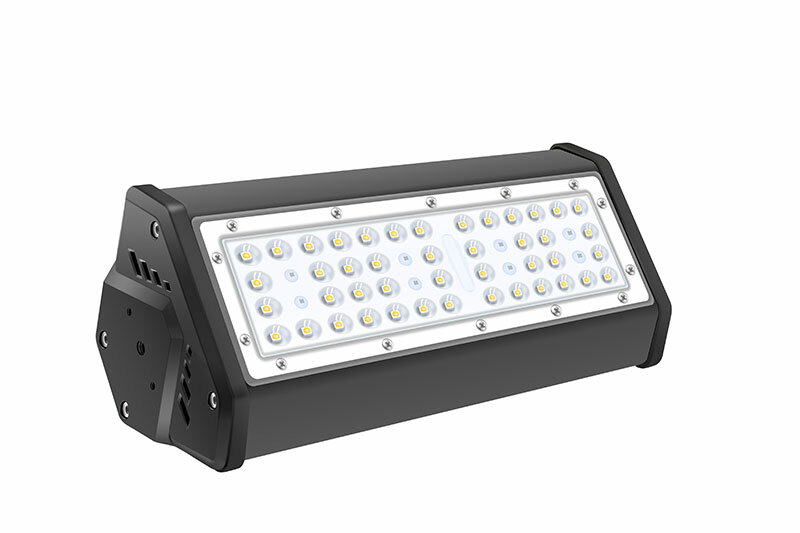 In general, the comfort of LED plant lights is also a factor in considering the purchase of LED plant growing lights, but the key is still practical. After all, the existence of plant lights is mainly used to help plants grow healthily, instead of craft. As the name suggests, before purchasing LED plant lights, you should consider what kind of environment you will use, and what kind of performance you need. The environmental applicability of LED plant lights can be roughly analyzed from the planting area, plant characteristics, and plant growth environment. Deciding what shape LED plant lamp should be used according to the size of the planting area. For a single plant light supplemen, a round LED plant lamp can be used to illuminate the plant in all directions, it can not only meet the needs of plant light, but will also reduce the waste of electric energy and light energy compared to square shape LED plant light. However, when planting in large areas, it is better to use square LED growing light. Because of the large area, the plant growth interval is tight, and every plant needs to receive uniform illumination everywhere. If a round plant light is used, the illumination at the junction of multiple lights cannot be guaranteed. On the contrary, the square LED plant lamp can solve the above problems well. According to the characteristics of plants, positive plants need to provide particularly sufficient light during the flowering / bloming / rapid growth stages, and high power LED plant lights are often used for light supplement. If the plant is in the nursery period, the light level is not very high, then the LED plant light strip can be used to meet the growth needs. The growth environment of plants varies greatly depending on the type of plant. There is a huge difference in light, air, nutrition, humidity, etc. From the perspective of using LED plant lights, we mainly considering what kind of light the plant needs, how much is needed. In addition, we must pay attention to some additional features, such as: assuming LED plant lgihts are used for hydroponic cultivation, the relative humidity of the environment will be bigger, which requires the plant lamp to have a certain waterproof performance, to avoid affecting the use and life span of LED plant lights.